Tow Truck Insurance Lubbock Tx — Low Rates & Same-Day Coverage. Pathway is a leading independent agency offering competitive rates and coverage for tow truck insurance in Texas, Florida, Georgia, Tennessee, Kentucky, Ohio, Indiana, Michigan, Minnesota and the state of Maryland. The same situation applies to insurance companies when policyholders withhold or provide fake information to obtain insurance. In a previous scenario we considered how Junkyard Joey Jaden owner of the company formerly known as Stupor Junkers Towing and renamed Junkyard Towing was attempting to purchase insurance for his fleet of 200 Wreckers. He found an agent named Penelope at PU Something Stinks Insurance Brokers to convince the underwriting department of the company she works for to bind coverage for this large risk and she was definitely motivated. She had a $50,000 insurance commission on the line for booking this account, however the underwriters had some conditions that needed to be addressed and unfortunately Junkyard Joey completely blew off Penelope and let his brother Seth, who was really the de facto owner of Junkyard Towing, know about the conditions three days before the new policy was about to be canceled. Because of previous claim activity Seth was unable to obtain affordable rates, at least in his mind, so he put together a scheme to sell his company to his brother Junkyard Joey for $1and start up a ‘new startup company’ in his brother’s name so that he could get better rates on his Texas Tow Truck Insurance. The problem for Seth is that the insurance companies were on to him, i.e. Junkyard Joey. The underwriting department of the new insurance company was able to see a clear connection between the new company, Junkyard Towing, and the previous company Stupor Junkers Towing by means of reporting tools they have in their possession but were nonexistent years ago. So the underwriting department wanted a notarized letter from Junkyard Joey stating that there was no connection between the new company and the previous company Stupor Junkers Towing. Unfortunately Junkyard Joey could not of course provide this, and Seth’s scheme to obtain lower rates on Commercial Tow Truck Insurance in Texas came apart at the seams. He was busted. Tow Truck Insurance Lubbock Tx — What Can We Learn from This Situation? Don’t try to trick the insurance company by closing one company and reopening under a new name — it simply will not work. Insurance companies have been burned by sneaky company owners who after turning in multiple claims under their policy, face hefty rate increases or cancellation of their policy. Insurance companies today have multiple tools they use to underwrite new accounts. 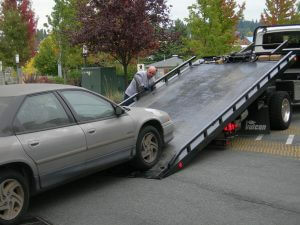 They will catch any company owner trying to pull a fast one on the insurance company. There’s another reason why you should not try to trick, or not fully disclose all pertinent details to any insurance company that you buy a policy from. Why? They can rescind your policy as if it never existed. What does that mean? It means that if you just had an accident in the claim payout may be $100,000, if your insurance company rescind your policy from its inception, it means you will be paying the full $100,000 out-of-pocket. For this reason you should not lie to insurance companies. Insurance companies do not use the term lie, they use the term misrepresentation. Any misrepresentation made by a customer to the insurance company is grounds to rescind the policy and avoid pain even what could have been legitimate claims, that otherwise would have been paid if the customer did not misrepresent information to the insurance company. What happens if the insurance agent lies, or misrepresents information to the insurance company in your behalf and you are or you are not aware of it? We will consider that in our next article. Tow Truck Insurance Lubbock Tx —Great Rates & Coverage!